The Supreme Court on Thursday required the Committee under section 9 of the Disaster Management Act to urgently meet with the Kerala and Tamil Nadu state authorities over the management of the Mullaperiyar reservoir water, directing a report to be submitted by Friday morning. The bench headed by Chief Justice Dipak Misra urged that the water level be tried to be maintained at 139 feet in the wake of the floods in the Kerala. The matter will now be heard at 2 PM on Friday. In view of the raging floods in Kerala and the level of water in the Mullaperiyar dam rising menacingly, a resident of Mullaperiyar in Kerala, Russel Joy, has knocked the doors of the Supreme Court seeking announcement of Disaster Management Plan and constant monitoring of water levels by State of Tamil Nadu. It has been submitted that the state of Tamil Nadu has risked the life of many people in the downstream of the dam when it insisted that the water needs to cross the 142 feet mark before taking any action despite seeing the current state of affairs due to this unprecedented natural calamity in Kerala and efforts to contain the loss of life and property. 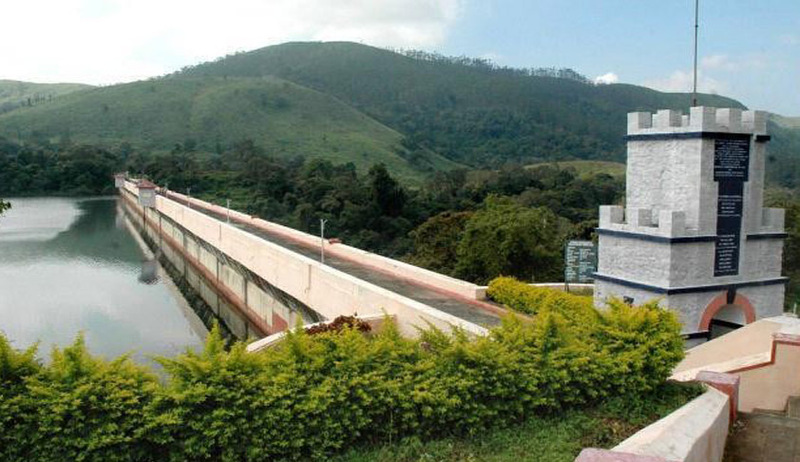 It may be noted that in 2014, in State of Tamil Nadu v. State of Kerala, the apex court had required the Full Reservoir Level of the dam to be restored to the elevation of 142 feet. The petitioner has contended that the release of water from the Mullaperiyar Dam at the whims and fancies of the State of Tamil Nadu for extraneous reasons is a threat to the life to the petitioner and many others in the downstream. Advocate Manoj George had mentioned the matter before Justice Ranjan Gogoi in the morning, but was asked to mention against before the Chief Justice at 2 PM. (a) The Sub-Committee constituted under Section 9 of The Disaster Management Act, 2005 along with National Crisis Management Committee (NCMC) should hold a meeting, sometime tomorrow in the morning, with the competent authorities of the States of Kerala and Tamil Nadu. If the meeting is not possible by physical presence, the authorities may take aid of video conferencing. (b) An effort has to be made by the Committees to see if there can be a possibility of bringing down the water level, at least to 139 ft., so that the people staying in the downstream of the dam do not remain in the constant fear. (c) The States of Kerala and Tamil Nadu shall coordinate with the NCMC so that the people who have been displaced by flood are given adequate relief immediately. (d) The Sub-Committee may suggest, before water is released from the dam to the downstream areas, as to what kind of measures can be taken to handle the disaster so that the people ultimately do not suffer from the catastrophe caused by the flood. (e) The Committee that has been directed to meet tomorrow in the morning must come out with a Disaster Management Plan which shall be made public so that the people can remain prepared for the same. (f) The decision of the Sub-Committee, needless to say, shall be implemented by both the States immediately although we are taking up the matter tomorrow at 02:00 p.m.